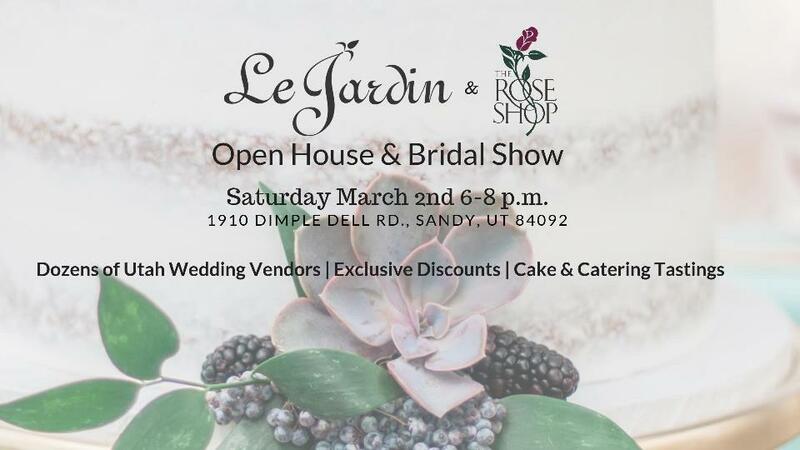 You are cordially invited to our Le Jardin Wedding Open House & Bridal Show! Peruse our gorgeous indoor/outdoor wedding venue and reception center, including greenhouses and gardens. Enjoy wedding floral displays by The Rose Shop. Delight your taste buds with catered food tastings. Visit with premier Utah wedding vendors including caterers, photographers, cake artists, DJs and more! Be inspired and enjoy exclusive booking discounts for both The Rose Shop and Le Jardin, only available to Open House attendees! This complimentary event is sure to inspire as you plan for your upcoming wedding! Please mention Salt Lake Bride when you register or attend.